The cattle industry is the largest agricultural commodity in the United States, generating more than $100 billion in farm cash receipts in 2016. Despite cattle's economic importance, scientists still have a long way to go to fully understand mechanisms that govern important genetic traits in the animals such as growth and disease resistance. 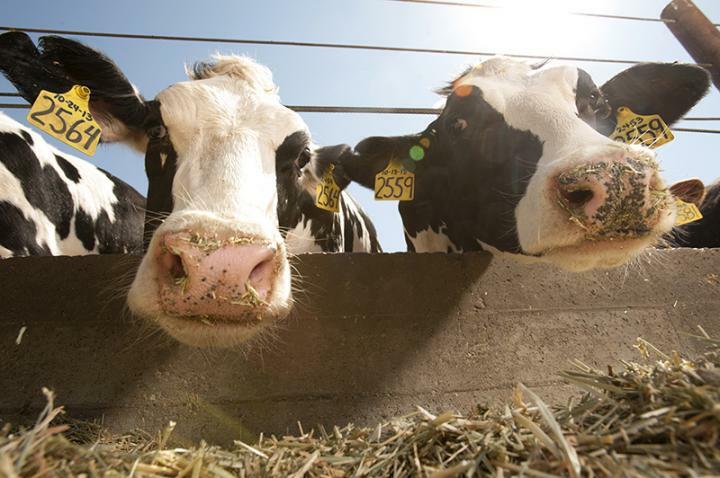 The U.S. Department of Agriculture's National Institute of Food and Agriculture has awarded the University of California, Davis, $2.5 million over four years for a national cow genomics project. The research effort aims to allow the cattle industry to use genetics more efficiently to predict the traits their herds possess. "We have the code of the cow's genome, but we don't know what it means," said Pablo Ross, an associate professor in the Department of Animal Science at the UC Davis College of Agricultural and Environmental Sciences. He will lead the efforts and serve as project director. "This project is like genome sequencing 2.0," said Ross. "The goal is to identify the functional elements of the cow's genome." Understanding that information could open the door to improvements in genetic selection, which could lead to healthier, more productive livestock.